Internet commerce is a rapidly advancing and multifaceted division of the payment processing business. 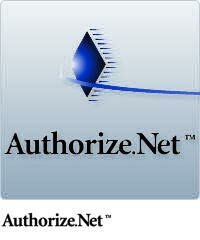 Using Authorize.net., transactions can be processed from any computer having Internet connection and a web browser. In addition, Authorize.net provides a virtual terminal for offline card processing. Accept a Variety of Payments – All main credit cards, gift cards, eCheck.Net (electronic checks from bank accounts), internet auctions as well as signature debits. Manage Your Transactions – The fully accessorized Merchant Interface can help you administer and audit payments via your web site. Prevent Fraud – The built-in fraud mechanisms help you quickly locate disputable transactions. Risk Management – The Authorize.Net PCI-compliant data center stores all sensitive data, it is not on your computer at anytime. Receive Payments Quickly – In a matter of a few days the account will reflect the automatically deposited funds into the merchant bank account. Free Help – Free of charge, live technical and account support is supplied to merchants by Authorize.Net, as well as online documentation and user guide accessibility. Step 1: The merchant submits a credit card transaction to the Authorize.Net Payment Gateway on behalf of a customer via secure connection from a Web site, at retail, from a MOTO center or a wireless device. Step 2: Authorize.Net receives the secure transaction information and passes it via a secure connection to the Merchant Bank’s Processor. Step 3: The Merchant Bank’s Processor submits the transaction to the Credit Card Interchange (a network of financial entities that communicate to manage the processing, clearing, and settlement of credit card transactions). Step 4: The Credit Card Interchange routes the transaction to the customer’s Credit Card Issuer. Step 6: The Credit Card Interchange relays the transaction results to the Merchant Bank’s Processor. Step 7: The Merchant Bank’s Processor relays the transaction results to Authorize.Net. Step 8: Authorize.Net stores the transaction results and sends them to the customer and/or the merchant. This communication process averages three seconds or less! Step 9: The Credit Card Interchange passes the appropriate funds for the transaction to the Merchant’s Bank, which then deposits funds into the merchant’s bank account. The funds are typically deposited into your primary bank account within two to four business days.